To view in alphabetical order the names of swimmers and their year of crossing click here. To view in date order the names of swimmers and their year of crossing click here. 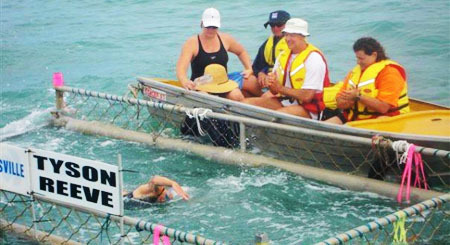 The to Townsville swim has been held almost every year since 1954. 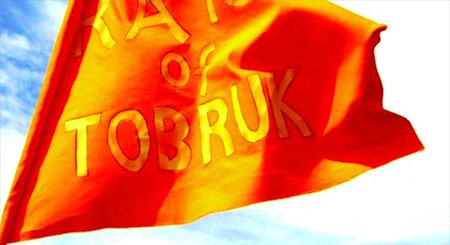 2011 is the 57th year this event has been conducted. The swim is from beautiful Picnic Bay on Magnetic Island to the beachfront on The Strand, Townsville, a distance of 8km. The swim is run by the Townsville Open Water Swimming Assoc. Inc. (TOWSA) which is comprised of a dedicated bunch of volunteers as the management committee, and many volunteers on the event day. Over the years, the who's who of Australian distance swimming has competed in the race. Female competitors include former Australian representatives such as Shelley Taylor-Smith, Melissa Cunningham, Tamara Bruce, Susie Maroney, Tracey Knowles, Lauren Arndt and our very own Penny Palfrey. Former male competitors have included John Koorey, Michael MacKenzie, Duncan Armstrong, Stephen Holland, Guy Leech, Dean Mercer, David O'Brien, David Bates, Mark Saliba and Josh Santacaterina. 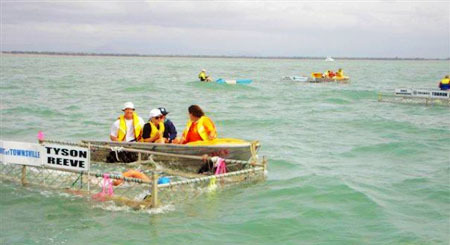 Until 2008, the Magnetic Island to Townsville open water swim was the only open water race in which still uses shark cages. Whilst they were possibly necessary many years ago, declining shark numbers means there are probably no more sharks in than in most coastal waters. 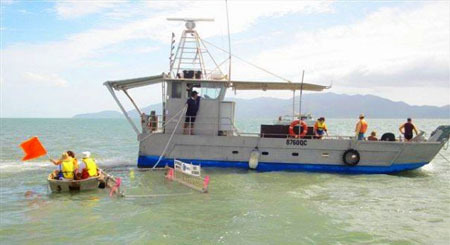 The last incident involving a shark in Townsville coastal waters was 1951. Local authorities have a year round program involving baited shark lines to keep numbers down. 2008 was the inaugural 'cage-less' swim. This opened up the race to more than the previous 7-8 swimmers. 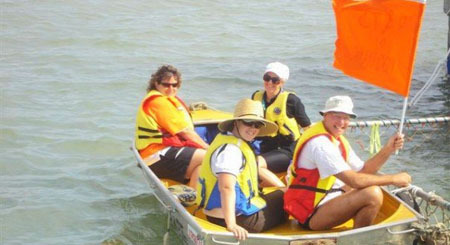 The Port of Townsville 2008 race was a resounding success, where 65 competitors made successful crossings of the channel. 2009 brought a new sponsor, Subway and entries reached 67. The Magnetic Island to Townsville Swim is proving itself to be a premier long distance open water winter swim in the southern hemisphere. This is a brilliant open water swim which will no doubt become a major event on the Australian Open Water Swimming calendar.